Shockingly Simple Toddler Sleep Hack - Most Parents Overlook This! Home » Parenting Tips » Shockingly Simple Toddler Sleep Hack – Most Parents Overlook This! 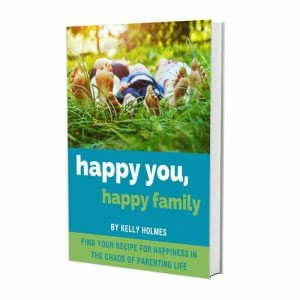 What’s inside: An often overlooked solution to toddler sleep issues – and it’s one that parenting books won’t tell you! With one simple switch, our toddler immediately started sleeping through the night! As a parent of a new baby, you count down the days until they start sleeping through the night. 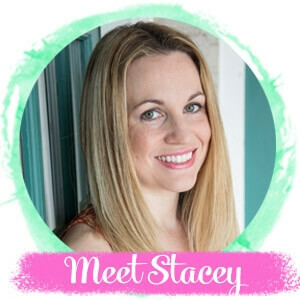 In fact, the promise of a restful night’s sleep when your baby hits the toddler stage is usually what gets you through those sleep deprived newborn days! 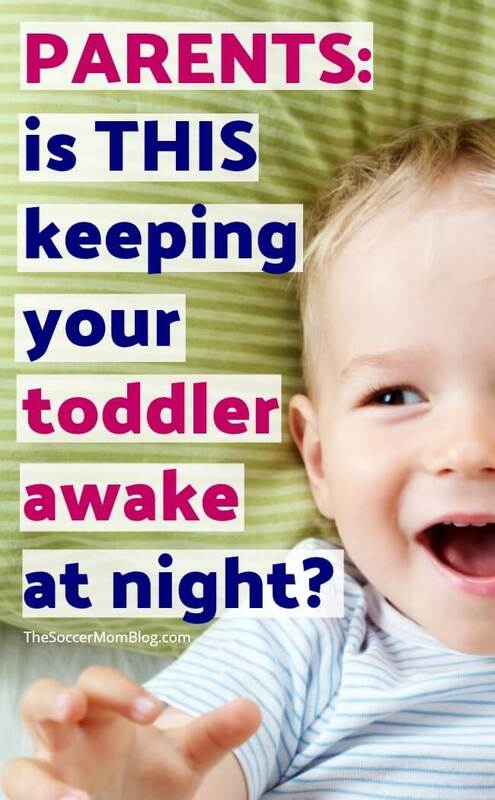 But what happens if your toddler never sleeps through the night? I never dreamed (no pun intended) that my toddler wouldn’t sleep through the night. 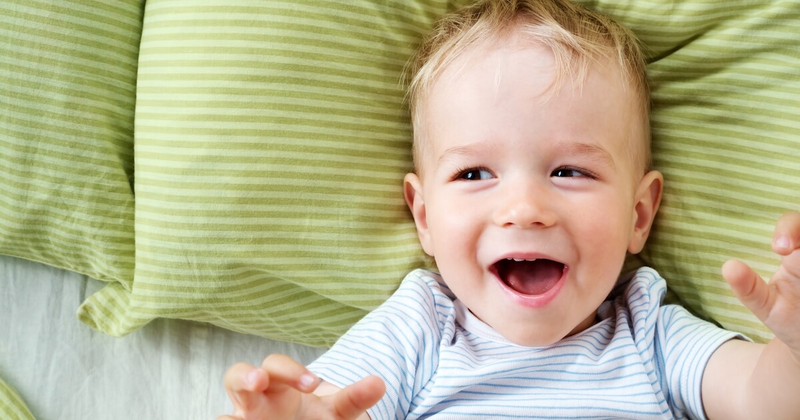 In the first year, we dealt with quite a few baby sleep regressions. I accepted that I didn’t get an “easy sleeper,” but I looked forward to getting a good night’s rest once we hit the toddler stage. At 22 months, we were still being woken up at least once, sometimes twice a night to cries of “Mama! Dada! Where are you? !” Going on three full years without solid sleep was really taking its toll, and I knew my poor little girl must be exhausted too! More like our toddler never slept through the night to begin with! If this is you too, I want to share a surprisingly simple toddler sleep solution that worked INSTANTLY for us. Seriously, the first day we tried this was the first day we ALL slept an entire night through. It’s definitely worth a try! 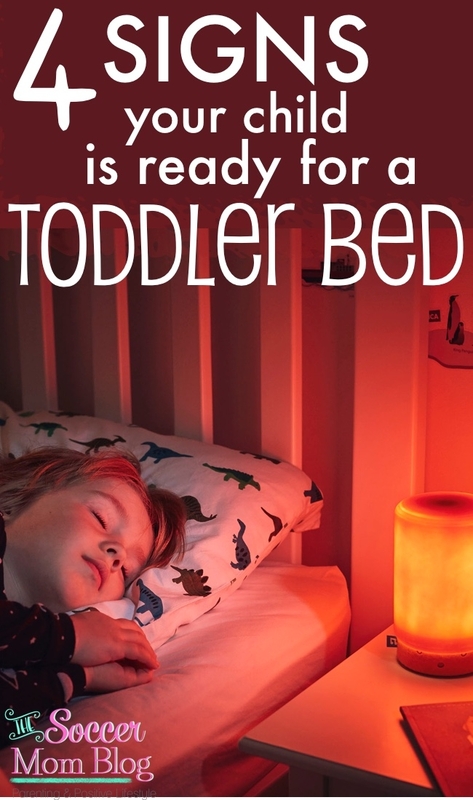 Perhaps it will be the magic toddler sleep trick for you too! Different bedtimes, different pajamas, her favorite dolls, night-lights, cuddling, cry-it-out…you name it! I read countless articles on toddler sleep regression and toddler sleep training. We got lucky a handful of times, but in her first two years of life, I could count on one hand the number of times our toddler slept through the night. One day my mom suggested something that I hadn’t thought of. Do you think she could be sensitive to sugar and caffeine? My initial reaction was outrage: I do NOT give my kids caffeinated drinks at all! No soda, tea…nothing…never! My mom knows that! Chocolate contains small amounts of caffeine, and both girls do get the occasional treat. Except that was the problem. The treats had become more than just an occasional surprise. Once I started thinking about it, I realized that every time I turned around, someone was handing my girls candy or cookies or ice cream. 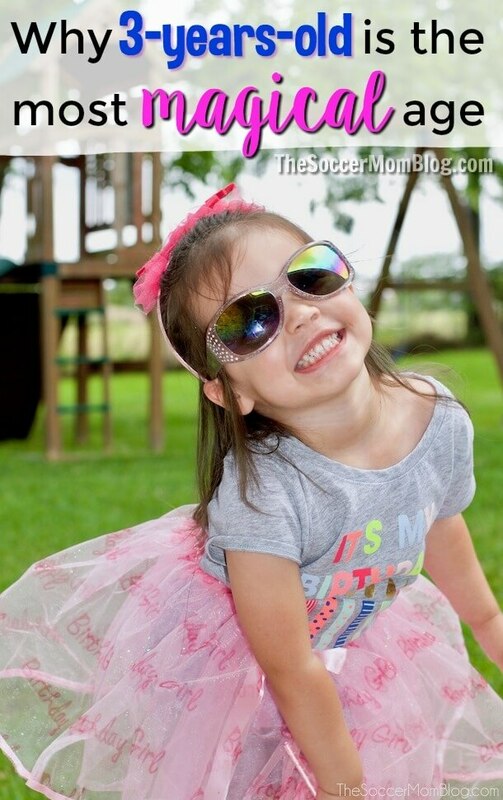 Whether it was Daddy bringing home fried Oreos from his food truck, or a family member popping in to say hello with a surprise ice cream sundae, or even the bank teller passing a sucker over the counter — sugar was everywhere! I prided myself on the fact that as a family we ate very healthy: home cooked meals every night with lots of vegetables and lean proteins. And I thought that we were reasonable about sugar consumption. However, our girls were getting far more sugar than I realized, and even a bit of caffeine from chocolate treats. Does chocolate disrupt sleep in children? The National Sleep Foundation recommends that both kids and adults avoid chocolate before bedtime. That’s because chocolate contains caffeine, which even in small amounts can be detrimental to good sleep habits. Believe it or not, a typical serving of dark chocolate contains about as much caffeine as a cup of tea. Milk chocolate contains about a third of the caffeine of dark chocolate, but even that could be enough to affect a child, as children are more sensitive to caffeine. On the day that my mom suggested that chocolate and other sweets were negatively affecting our littlest’s sleep, I thought back to what she had eaten the day before. I was ashamed when I counted up the cookies I had watched our daughter eat. I might not have given them to her myself, but I allowed others to feed her an excessive amount. Maybe 5 cookies total — that’s more than I would ever eat in a day and it is INSANE for a not-quite two year old! That night she had woken up twice. I hung my head in shame. The good news: we can make a positive change at any time! That very day I announced to my husband and my visiting mother-in-law that the girls were not to have any more sugar for the rest of the day. Period. I explained that I wanted to see the effect it was having on our toddler’s sleep. That night our daughter slept through from 9pm to 8am. ELEVEN hours straight!! I couldn’t believe the immediate impact that cutting out sugar and chocolate had on toddler sleep. That night our toddler slept from 9:30pm to 11am. MORE than TWELVE hours straight!! And the next night it was twelve hours again! And the next night was ten hours! More than one night in a row of sleeping through the night has NEVER happened before. Sleeping more than twelve hours straight is unheard of for our youngest daughter. This was four nights in a row of sleeping around twelve hours straight. It was like a miracle!! I don’t care if anyone thinks it is a coincidence…I am sold!! It might not be what’s going on around your child that’s keeping them awake. I think with sleep issues, we often look for external factors as the cause: noise, temperature, discomfort, etc. However, sometimes it is important to consider what is going on inside our bodies! I can’t believe I missed this for so long — I know the effect that sugar has on ME, but I hadn’t thought about what it was doing to my girls. Maybe a couple treats won’t keep every child up at night, but for my little girl (who didn’t even have a taste of processed sugar until after her first birthday) it was obviously too much. And if you’re stuck in the exhausting cycle of sleepless nights like we were, it is definitely worth a try!! And we are ALL sleeping better because of it! 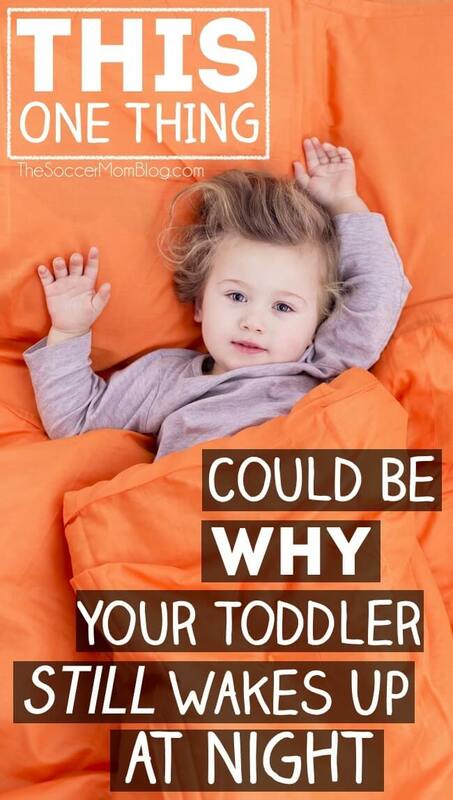 When is it Time to Transition to a Toddler Bed? *Affiliate links provided for your convenience; read our disclosure policy here. 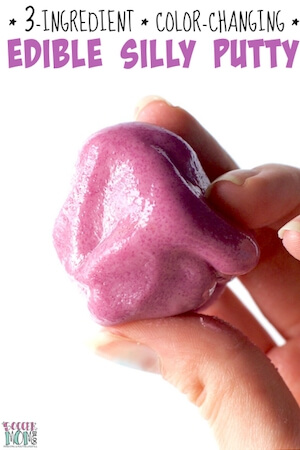 « 1 Ingredient Slime (4 Ways) – Just Add Water! Hi! So happy you figured this out and shared your experience. My daughter is 14 months and is up 10 times a night still. 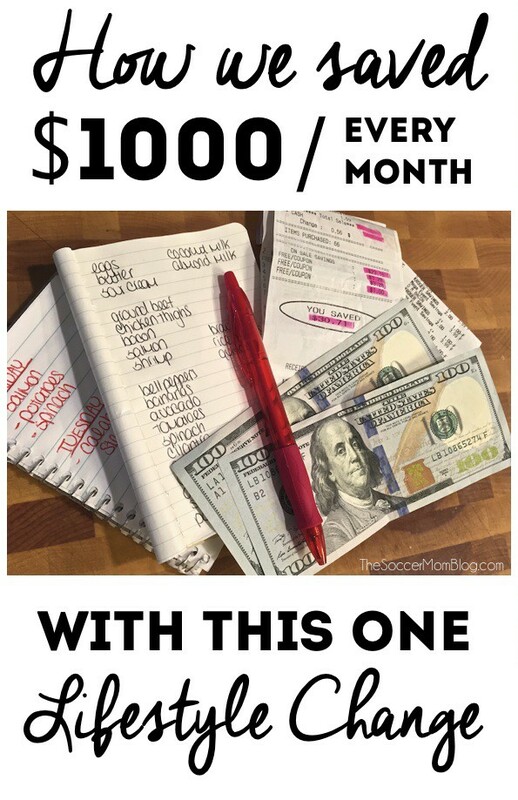 I want to try your method and cut out all sugar. Did you cut out all natural sugars also? Would you mind possibly given me a brief menu on the meals/snacks you feed your children. Hi Katie! I feel for you and I’m hoping that you’ll be getting more rest very soon! To answer your questions: I am not as worried about natural sugars (like the ones found in fruit) during the day — one of my daughter’s favorite breakfasts is sliced banana. (We don’t have any treats after dinner though!) We eat mostly home-cooked meals (my husband loves to cook) so we know exactly what goes in our food. Takeout and restaurant food (even things that might be marketed as “healthy” can have tons of sugar and additives that we might not be aware of. What I would focus on is reducing the amount of artificial sugars, dyes, and additives in your overall diet. I’m not crazy obsessive about it, but it does take a little effort — and sometimes that effort is keeping an eye on what well-meaning family members might try to give your kids! This may be a silly question, but what all are you considering sugar? Just treats, or fruits as well? I have an 18 month old who does not regularly sleep through the night, and I’m getting to the end of my rope some days. He gets so cranky but he fights sleep like the plague. He is also a picky eater, but he does like bananas so sometimes that is most of his dinner. I am definitely willing to try something different to see if it helps. Hi Brittany! Our toddler can be picky sometimes too, so I understand that sometimes you’re happy just to get them to eat something at all. Just remember, if they’re really hungry they WILL eat 😉 I don’t worry about natural (fruit) sugar as much as I do artificial/processed sugars. Bananas are one of my daughter’s favorite breakfasts! We don’t however give any treats at all after dinner (even fruit). I would also look carefully at ingredient lists for dyes and other artificial ingredients as those could have an effect as well. Good luck mama!! It can be a little tough to convince well-meaning family that treats will keep everyone awake later! This was a great read and good to know for the future. I have an 8 month old who still wakes up every two hours so I wonder whether the sugars that I consume keep him more awake because he feeds from me or something else. Maybe I should go a week without it to detox and see its effects. It sounds like you’re still breastfeeding, so don’t worry too much yet because it’s still normal for a breastfed baby to wake up at night at that age – breast milk digests quickly. However, YOU will probably feel amazing after a sugar detox (once you get through the first couple days). I keep thinking I should do the same– even though I don’t eat a lot of processed sugar, I still want to see how I feel when I cut it out completely. Hi! This might be our problem too. Did you eliminate fruit sugar too?? Sugar is sugar, right? Or is that sugar different with how it breaks down in our bodies? I didn’t eliminate fruit sugar, because I believe that fruit in moderation is very beneficial. My toddler loves to eat banana for breakfast! However, she gets zero fruit juice and no sweets of any kind (even fruit) after dinner. My main focus was on processed/refined sugars, as well as artificial dyes & additives. Great advise!!! I’m going to try! Thank you so much for sharing your story!!! I will definitely try this. My son comes into my bed most nights and it’s getting old. He doesn’t drink a lot of juice but snacks yes. What are some snacks you may recommend me giving him to limit sugar? Hi Krystin! We don’t do any food at all after dinner because we eat on the later side (7ish). After dinner it’s right on to bath & bed! As a family, we are not big snackers, but the girls do love popcorn or occasionally crackers with natural peanut butter. It’s also possible that part of what’s going on is that your son has gotten used to coming and sleeping with you and having the comfort of you nearby. Our toddler still sleeps in a crib so she can’t get out of bed, so I don’t have personal advice on that, but I’m wishing you luck! Hi Lina, all fruit has sugar, though some has more than others. I don’t limit my girls on fruit, but my toddler gets absolutely no fruit juice (which is high in sugar and does not have fiber like whole fruit). Fruit is healthy, so it’s not something I worry about. I focus more on processed foods with dyes and additives, and things with added sugar. I am going to definitely try this. My son comes into my bed most nights and it’s getting old. He doesn’t drink a lot of juice but snacks yes. What are some snacks you may recommend me giving him to limit sugar? I am curious as to why you say you “rarely have gluten”? Unless someone in your family is Celiac, going gluten free does nothing for you. Then if that’s the case, it should be “never have gluten”. It’s a misnomer that non-celiacs going gluten free means you’re eating healthier, when in fact doing that can cause a lack in vitamins, minerals and fiber. Please don’t jumpy on a fad diet bandwagon to be mainstream, do your research. I appreciate your input, and can assure you that I haven’t jumped onto a “fad diet bandwagon.” I do not have Celiac’s, but it’s not a fair assumption to say that eating gluten free whenever possible does nothing for me. I can absolutely feel the difference between when I do not eat gluten (specifically, wheat) and when I do. I have a very sensitive digestive system, without going into specifics, and was especially miserable during my pregnancy. My mom suggested I cut out wheat for even a day or two and see how I felt. For someone that ate a sandwich every single day for lunch, that seemed impossible. However, the results were instant and I never looked back. Our family still eats other grains like quinoa, which provide both fiber and protein, as well as plenty of vegetables (my husband cooks almost every night), so I’m not worried that we are lacking nutrition. I don’t push a gluten free lifestyle on anyone else, but it has been wonderful for me to finally FEEL good after meals so I’m all about it! Giving up artificial colours, flavours and sweeteners as well as certain preservatives can help anyone especially the life of a child. I have done this and with the help of a program that can be found online. Think about it. It is definitely a good idea to limit those things as much as possible, in kids AND adults! Thank you so much for such a lovely post! I very much share your views… Please, could you advice what do you give to your little angel for dinner and how long before she goes to bed does she eat. I struggle to offer her a variety of foods and we as a family follow a very similar diet to your diet. I discovered she likes buckwheat and amaranth but she is not too keen on quinoa or fish – I struggle to offer a variety of foods though and she is fed up with the variations on chicken and vegetables and vegetable soups with some buckwheat and amaranth thrown here and there. Thank you so much – I’d really appreciate some ideas! Interesting idea. However, there are MANY other foods that get converted to sugar, so this seems like a loose correlation at best. I’d like to see any actual science to back up this anecdotal information. 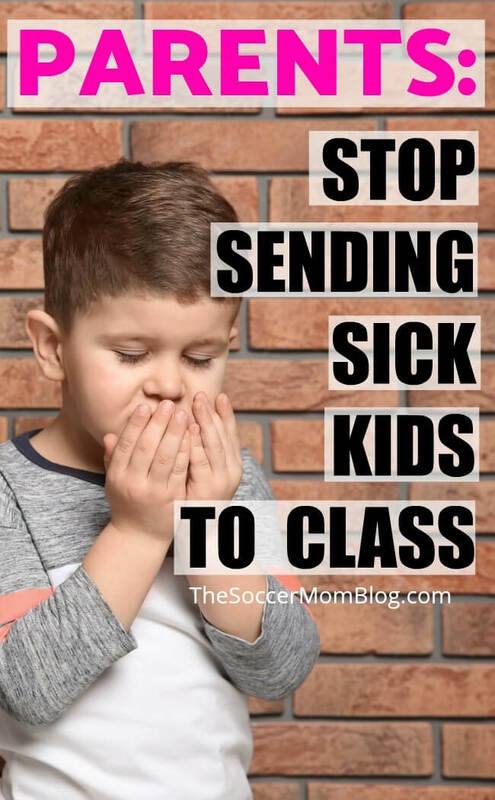 Parents are especially vulnerable to the placebo effect, so I like hearing about experiences like this, but I wouldn’t regard it as valuable advice. The average person is not trained to conduct research properly which leads to a lot of novice mistakes and incorrect conclusions. The biggest being that correlation does not imply causation. There are dozens of other factors that could account for the sleep changes observed. I sincerely hope that an actual study takes place to explore this topic because all us mommies can probably use a little more sleep! It’s kind of hard to admit how true this is. We try and pride ourselves on eating healthy as well, but we tend to turn a blind eye to what we’re casually allowing others to give. 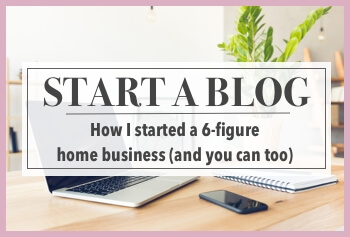 This was an amazing read, thank you so much for posting this blog. My 16 month old doesn’t sleep threw the night. He always wakes up stands immediately and screams his head off, its exhausting. We don’t feed him any sugars like chocolate etc at all but after i read your blog, i decided to try no sugar after dinner and i cut out fruit and yogurtboth high in sugars. He actually slept last night! Yes he woke up cried for a minute but then put himself right back to sleep, i think because he didn’t have excess sugar running threw his body that he was actually able to self soothe himself. Thank you so much! That’s wonderful Sonia!! I’m so glad that you were able to get a good night’s sleep finally and figured out something that may help your son sleep better too 🙂 Thank you for sharing! Hi there! I came across this post and feel like I could’ve written it myself 😊 it never occurred to me that sugar could be a factor 🤦 she doesn’t get much but still…. My one question for you though, when you say no sugar after dinner does that include fruit? And if it’s not too personal when’s your dinner time/cut off time? I’d appreciate any feedback and I look forward to start implementing the no sugar! I pray I have the same success. Hi Hanna – We eat dinner around 7 or 7:30 and that’s it for the night. After that we start our bedtime routine, which includes brushing teeth, so there’s no more food. We don’t limit fruit at all during the day, but since we’re not eating after dinner, worrying about fruit sugar at night is a non-issue. Hope this helps!! Stacy, I’d be interested in knowing what you’d allow as snacks. My kids, 5, 3, & 1, eat every few hours and are not big eaters. (5yr old hates fruits+veggies& has moderate separation anxiety) We try to steer away from sugars, but it seems it’s everywhere. As part of our nighttime routine, the older 2 get hot chocolate. It was actually something that helped GET them to sleep… But they are still getting up almost every night. I even use essential oils daily with them and melatonin! Getting to sleep is way easier, but staying asleep is a whole other story… Suggestions, substitutes? Sugar free products is an absolute no in my house for a couple reasons. Help? 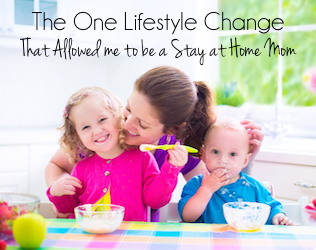 Hi Nichola – we stay away from “sugar free” products too because they cause upset tummies. For snacks, the girls love fruit (apples, strawberries, grapes, oranges) and veggie chips. We don’t do a lot of snacking because they eat 4 meals a day: breakfast, school lunch, after school lunch, and dinner. Usually school lunch is on the smaller side because they have such a short window to eat. We eat dinner fairly late (about 7pm) and then there is no snacking or treats after that. What I would suggest is finding something else to substitute in your nighttime routine in place of the hot cocoa (which probably has quite a bit of sugar). Milk itself actually has over 10g of sugar per serving, in the form of lactose. For our nighttime routine we do a “relax bath” with essential oils, stories, and prayers to get the girls into the bedtime mindset. I’m not sure what time you eat dinner, but you might also try pushing that back a little so they don’t need to snack after that. Hope this helps!